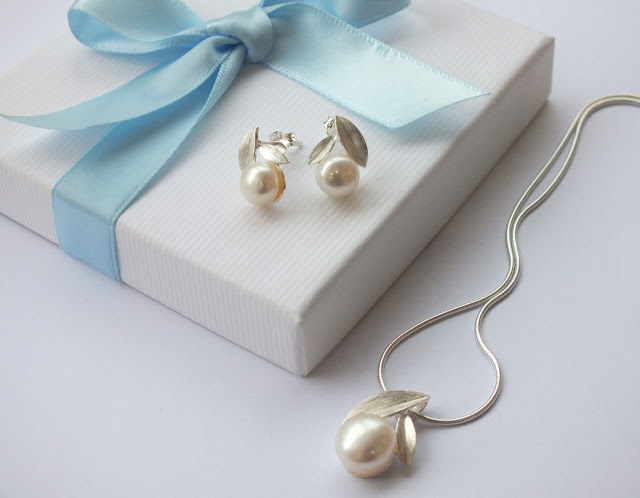 Choosing the perfect gift can be a challenge so we’ve tried to help by selecting three gorgeous but very different suites of pearl jewellery. 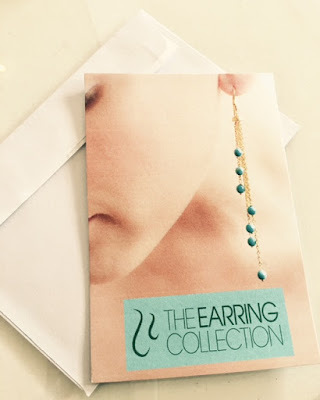 Each is made especially for The Earring Collection from real pearls and sterling silver or 9ct gold and come beautifully presented in gift boxes with silk ribbons - ready to be given and received. The Pearl & Leaf set comprises silver and pearl stud earrings and a matching pendant on a fine Italian silver chain - all presented in a beribboned gift box - all this for £98. Crafted from stunning, iridescent Tahitian pearls set in sterling silver, our Tahitian pearl set comprises earrings and matching pendant on a fine snake chain presented in our lovely gift box. 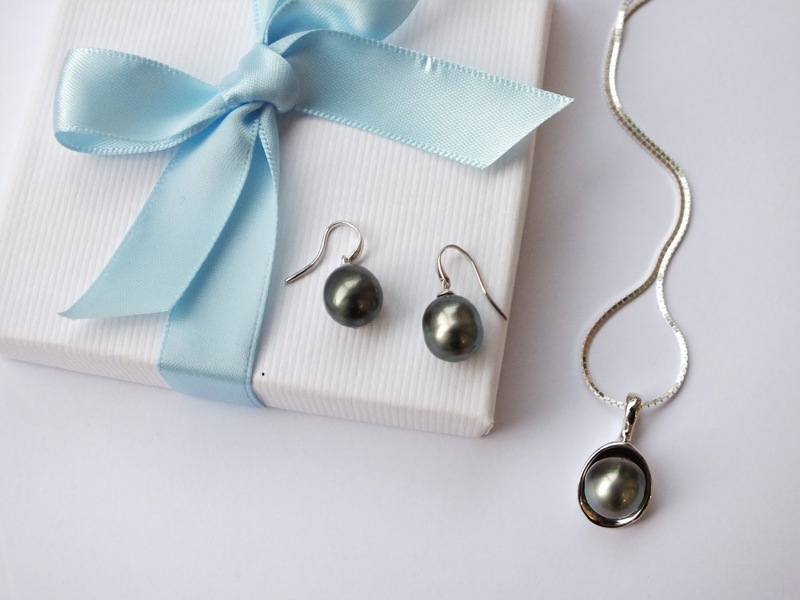 A real Tahitian pearl suite for only £260. A glorious suite from 9ct gold and superb pearls. 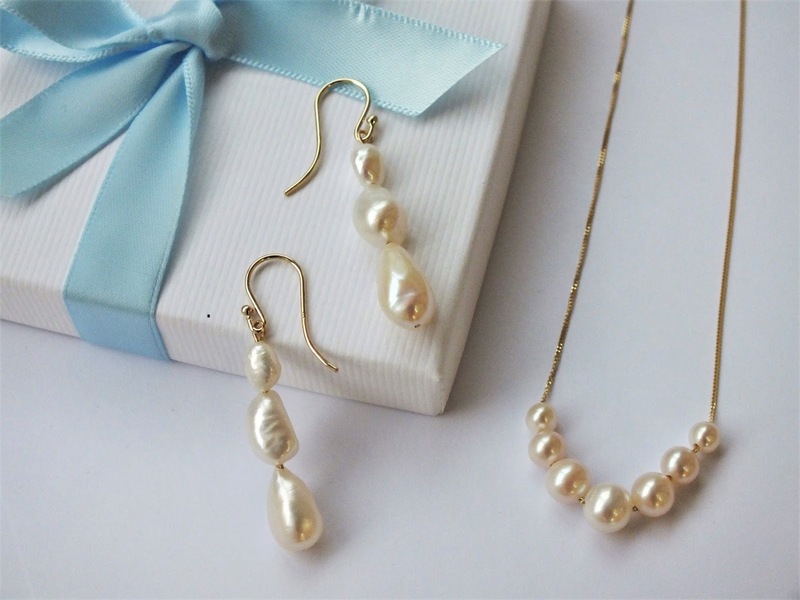 Triple-drop pearl earrings complemented by a simply gorgeous necklace of pearls strung onto gold. Just fabulous (and fabulously gift-wrapped) £304. … and then enjoy the reaction when they are opened! The Earring Collection 120 High St, Cowes or call 01983 243055. Open EVERY day until Christmas Eve.